ANTHONY Scaramucci, the White House’s potty-mouthed new communications director, has been dumped by his beautiful blonde wife because of his “naked political ambition,” multiple sources exclusively tell Page Six. 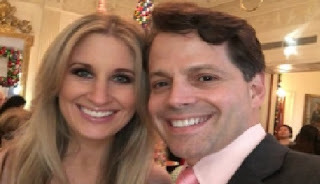 Mr Scaramucci and Ms Ball, 38, began dating in 2011 and are believed to have married in 2014. The source said that the Wall Street financier, 52, had been “hellbent” on claiming his position at the White House after he was originally pegged for a senior role and sold SkyBridge Capital in preparation in January. 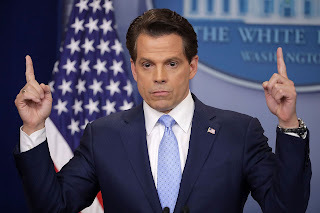 A second source close to Scaramucci - who has alternately not been wearing his wedding ring, or has been sporting it on his right hand - said the former couple had fought over his loyalty to Trump. This was his second marriage and Ball was noticeably not present at his recent SALT conference in mid-May.